Relax at the Holiday Inn Express Hotel & Suites, Jacksonville South. We believe when you can't be at home, we will make you feel like you are. The unique detail of our lobby indicates our concern and commitment to quality and service that you receive during your stay. Whether you are here for business or pleasure, just let us know how we can help make your visit to beautiful Jacksonville, most memorable. Our distinguished hotel, with luxurious guestrooms and suites, features microwave/ mini-refrigerators, private Keurig coffee stations, hairdryers, iron/ironing boards, international electrical outlets for guest traveling from abroad, and for your enjoyment, premium movie channels including free HBO. All of our guestrooms offer free wireless internet access with convenient above desk connections. Start your day with our complimentary deluxe continental breakfast and USA Today newspaper, or enjoy a brisk workout in our modern fitness center, splash in our swimming pool, or just sit back, relax, and enjoy the Florida sunshine. 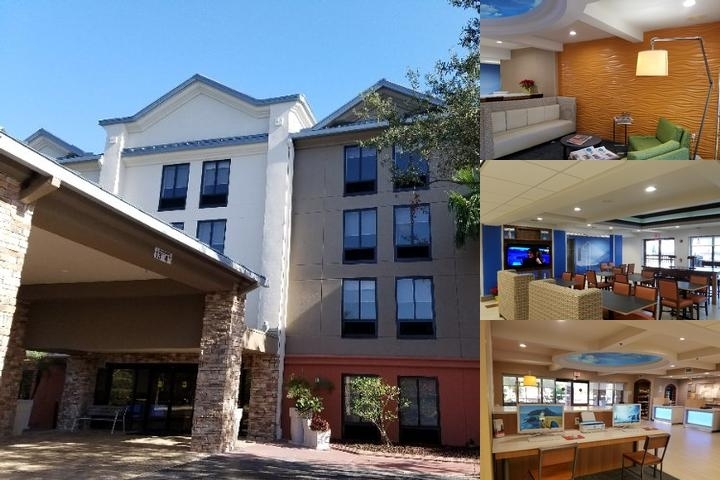 The best the area has to offer is only minutes away.The Holiday Inn Express Hotel & Suites is the perfect place to stay in Jacksonville, with its warm, friendly staff and convenient location. Stay Smart. Jacksonville International Airport - 22 miles, Express Airport Shuttle(separate company) charge is $15 per person. taxi fare would be $35.00. Free hot deluxe breakfast bar with cinnamon rolls, pancakes, eggs, meats, cereal, fresh fruit, egg white omelets and many more items. 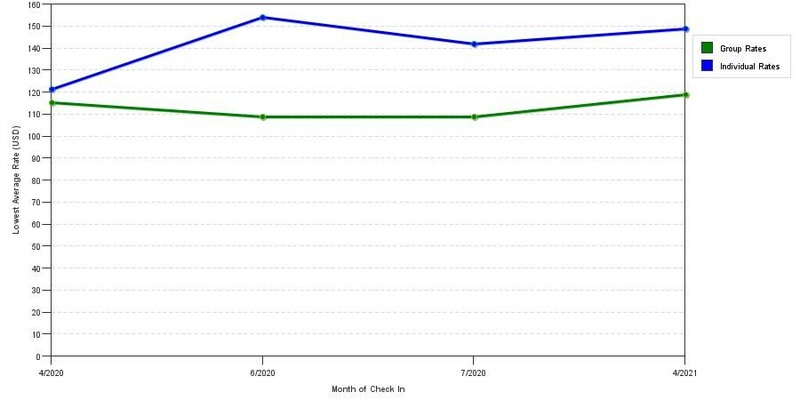 The graph above is seasonality of room rates for both group prices and the lowest online individual rates our rate checker could find at the time the group bid was submitted. The lowest group/meeting discount shown is 17.2% in March 2018 and the highest average individual rate is $138 in the month of May 2019. This chart will show past seasonality and also project future months. If you are flexible with dates, you may want to consider staying at Holiday Inn Express Hotel & Suites in a month when rates are lower. Below are the meeting, banquet, conference and event spaces at Holiday Inn Express Hotel & Suites. Feel free to use the Holiday Inn Express Hotel & Suites meeting space capacities chart below to help in your event planning. Hotel Planner specializes in Jacksonville event planning for sleeping rooms and meeting space for corporate events, weddings, parties, conventions, negotiated rates and trade shows. 30 x 27 x 8 Ft.
You are allowed to bring in your own food and beverage. We can also set up breaks for you.